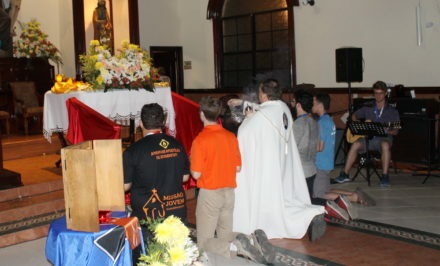 Six Schoenstatt members participated, among them Fr. Alexandre Awi, in his role as the Dicastery secretary and Fr. 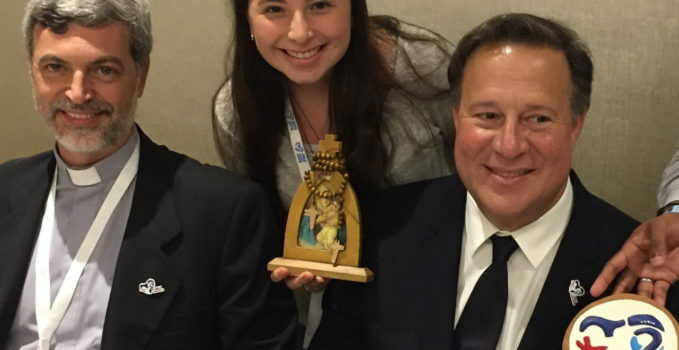 Romulo Aguilar – a Diocesan Schoenstatt priest – as the head of the local organizing committee. 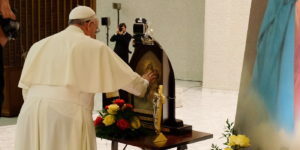 He made his Covenant of love with the Blessed Mother in the Bellavista shrine when he participated in a retreat for diocesan priests at the Cenacle Shrine. 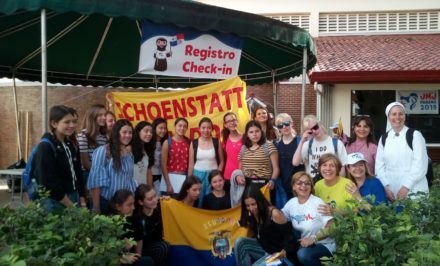 Pauli Aguayo, from the Schoenstatt Girls’ Youth in Santiago de Chile, who currently is supporting the Costa Rica Girls’ Youth, participated as one of the Schoenstatt delegates. The second Schoenstatt representative was Fr. 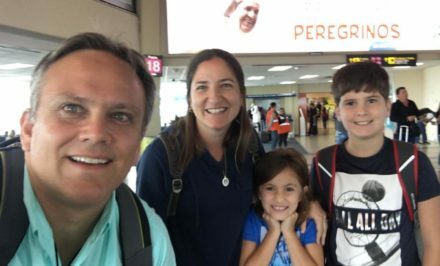 José Luis Correa, from the continental coordination of the Schoenstatt Movement and the advisor for the Movement in Central America. 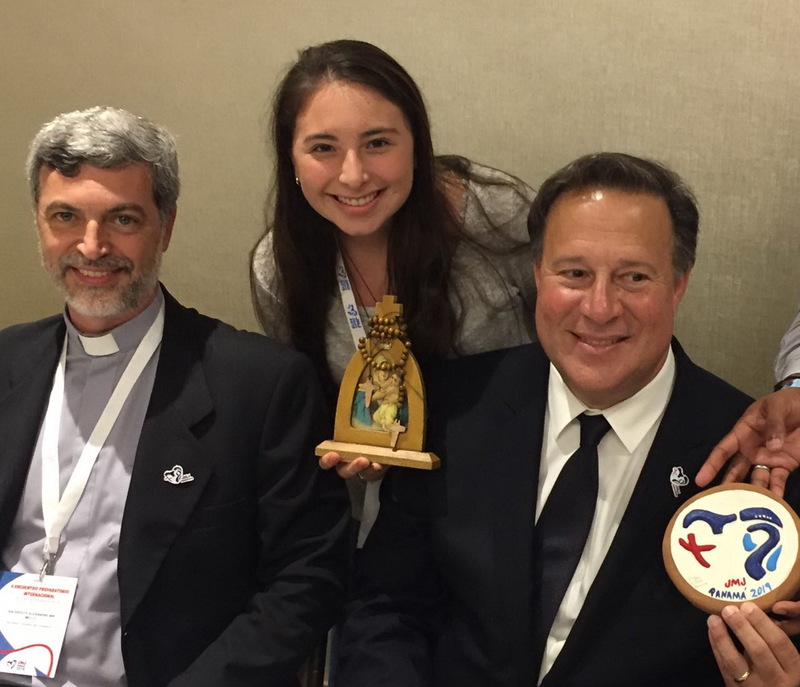 Joining them were Carolina Vivas from Venezuela who belonged to the Girls’ Youth in Austin and is now a WYD volunteer. The final representative was Miguel Franco, the manager of the hotel where the meeting took place, who belongs to the Family Branch in Panama. 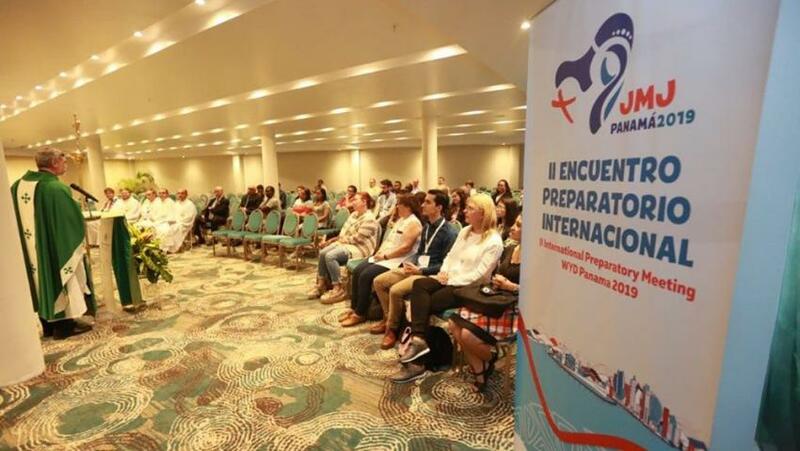 The aim of the meeting was that the delegates from the various countries could hear how Panama is preparing for WYD in terms of organization, accommodation, registration, communication, logistics and security, as well as learn about the host country to guide and better equip the pilgrims from their home countries. The working meeting – which included a simultaneous interpretation service in the five official WYD languages: Spanish, English, Portuguese, French and Italian – began with a multilingual prayer and a video summary of the journey since 31 July 2016 when Pope Francis announced that Panama would host the next WYD. During the opening, Fr. Alexandre Awi Mello, Secretary of the Dicastery organizing the event, invited those present to fulfill the mission entrusted by the Holy Father, to be the bridge between the WYD organizers and the countries that will participate. “Sit this mission that you are bridges and no longer walls,” he said. 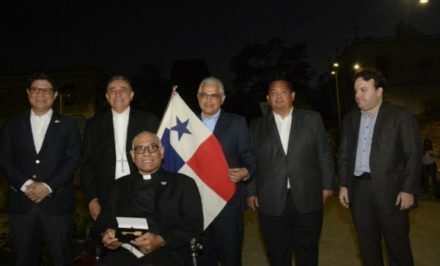 Bishop José Domingo Ulloa Mendieta, Archbishop of Panama City, also made reference to the great responsibility given to his country to be the hosts for this international event. 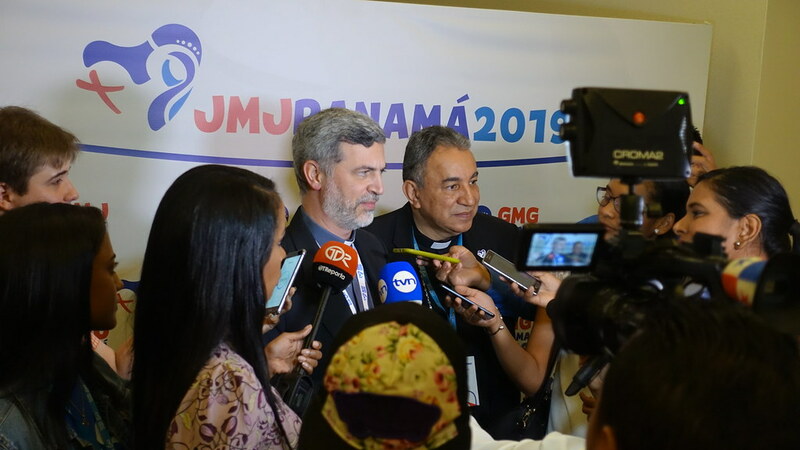 “We can say, without fear of being wrong, that we will be protagonists and witnesses of a historic moment for the Church and the world, in which the Youth Ministry will grow up, creating new spaces for communication and dialogue with the world’s youth”, he said. Bishop Ulloa added that “in Central America we go on pilgrimage as a poor Church, and for this reason we know how open the doors as a sign of hospitality, and receive the pilgrims as if they were at home… Welcome!”. In this edition of WYD, the role of social networks as a tool for disseminating fraternal dialogue and interaction among millions of young people around the world will be key. This is an invitation to stay connected through the official Internet platforms on the WYD website and Twitter, to follow updates of all the preparations, activities and procedures.